To enjoy an animal community in your aquarium for the long term, you really need to research the peculiarities of the animals you’re interested in! A good reference book, your pet shop and sometimes also the internet will help you here. Often you have an idea of which fish species you would like to keep. Let’s take as an example the angel fish. 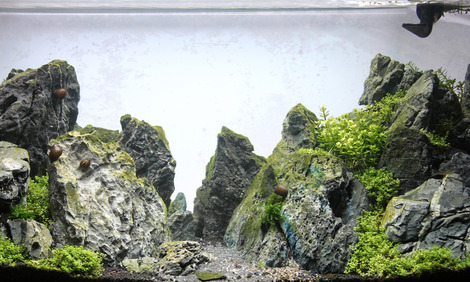 It can become 20 cm high and therefore needs a large and especially a high aquarium. Although not being a pronounced fish predator, it will, through its sheer size, regard tiny fish and shrimps as food, latest when it is fully grown. Small fish and shrimps are therefore unsuitable companions for it. It doesn’t eat plants and doesn’t dig. So you are totally free in your choice of substrates and plants. It likes to be between roots (biotope descriptions about its habitat) and needs to be kept in a small group. It feels comfortable in slightly acidic and soft water. This all rules out fish which prefer high pH values and harder water. This also would include the East African cichlids from Lake Malawi and Lake Tanganyika, which may otherwise have appealed to you. These, however, like a lot of stones in their habitat. It will help you quite a lot when you put fish from the same region on the shortlist, since they have similar water requirements. Then there is only the question how they get along with your favourite fish. But the region is not always decisive. Fish from the Amazon, African rivers or from Australia may have similar demands on the water! You really need to find some information about your favourite fish. 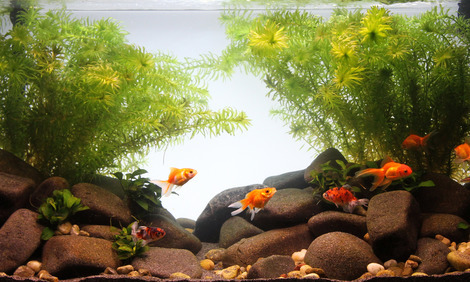 The height of your aquarium usually results in it having three water layers: the surface area, the middle water layer and the bottom area. A lot of fish stay in one area most of the time. It is therefore important to occupy all three areas properly. You can socialize any fish and invertebrate species with any other – but only for a few minutes! Then you will quickly notice which animals fit in which mouth and who is the bully and who is the whipping boy. Epiplatys and hatchetfish live near the water surface and rarely „dive“ to the ground. A lot of labyrinth fish also like to live near the water surface. Barbels or rainbow fish etc. live here, and a lot of cichlids too. 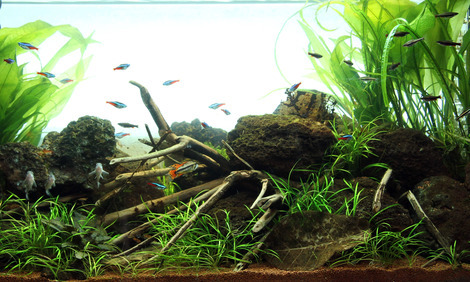 Some fish need a lot of space for swimming, other fish need “shelters” below the plants or wood. Catfish and loaches are typical bottom dwellers. 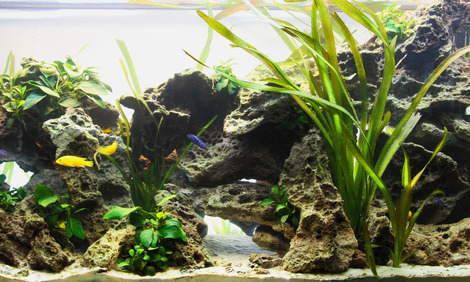 Dwarf cichlids also tend to stay in the lower aquarium area because they can find hiding places there. Larger shrimp species live at the bottom, whereas the smaller shrimp species settle all over the decoration. Take your time to select your aquarium dwellers. It’s worth it and moreover it’s fun to engage a little with the fish, to find out whether to keep mouthbrooders, bubble nest builders, digging or swift swimming schooling fish! Registe-se agora e não perca mais novidades sobre a JBL!